In the 21st century, pop is inherently, and necessarily, global in its outreach. The borderless nature of the internet, which both democratises access to and centralises control of music, has pushed listeners into contact with cultures and sounds they had perhaps previously ignored. Whilst far from a new development, this liquefaction of art has sent the cross-pollination of musical styles into over-drive, opening up new hybrid forms but consequently raising pertinent questions surrounding authorship and cultural appropriation – the issues of which we are all acutely aware in 2019. 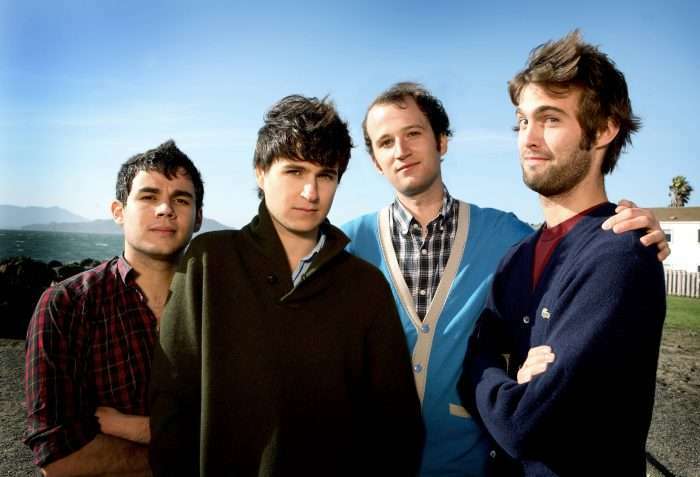 When Vampire Weekend surfaced on a wave of industry buzz in 2008, one of the most striking aspects of their perky pop music was its channelling of African influences. The clean yet colourful guitars; the brief splashes of neon synth; the tactile yet precise percussion – all quite overtly indebted the highlife of artists such as Ebo Taylor, Victor Olaiya , E.T Mensah, and countless more. Despite a keen interest in the continent’s sonic output, Ezra Koenig, who once claimed his local hero to be Ralph Lauren, has few links to Africa. The son of Jewish Manhattanite parents, and raised in the suburbs of New Jersey, he was perhaps as far removed as possible from the idea of authenticity surrounding this music. But his omnivorous approach to indie (which was at its overcrowded peak during the late 2000s) was indicative of a mentality which rallied against the po-faced restrictions many bands had reinforced in their misguided quest for authenticity. Koenig’s boyish, acrobatic voice is the central window to the band’s preoccupied campus commentary. On songs such as ‘Oxford Comma’ and ‘One (Blake’s Got A New Face)’ his voice switches between a self-assured, laid back confidence and an affected, awkward yelping that resembles the soulful yet poised vocals of Daryl Hall. The frontman’s lyrics are invariably enunciated with crystal clarity and delivered at a measured pace, as if he want’s you to absorb each line comprehensively before approaching the next. Koenig’s writing strikes a balance between earnest autobiography and sly lampooning of the privileged ecosystem in which he seemingly thrives – “Walk to class in front of ya’ / Spilled kefir on your keffiyah” on ‘Campus’ is a personal highlight. Instrumentally the band are razor sharp, with luminous production drawn from sessions recorded in basements and barns. Pulling from a luminous palette similar to bands such as Talking Heads – who created vast, loop-based compositions indebted to disco and afrobeat – Vampire Weekend nonetheless keep one foot firmly in the verse-chorus structure of western pop tradition. This doesn’t stop the band from keeping things interesting – everything from English chamber music (‘M79), and indie-balladry (“I Stand Corrected”), to African pop (“One”) is channelled into their angular guitar-riffs and scattershot percussion. 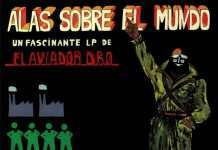 On songs such as “Cape Cod Kwassa Kwassa”, inspired by a ubiquitous dance rhythm from the Democratic Republic of Congo, there is an obvious awareness of cultural tourism, made explicit in the title and music, echoing the likes of CAN who committed similar acts in their “EFS” (“Ethnological Forgery Series”) output during the ‘70s. The lyrics grasp for cultural similarities between the preppy, neon polo-shirt aesthetic and the clothing of native Indian and African cultures. 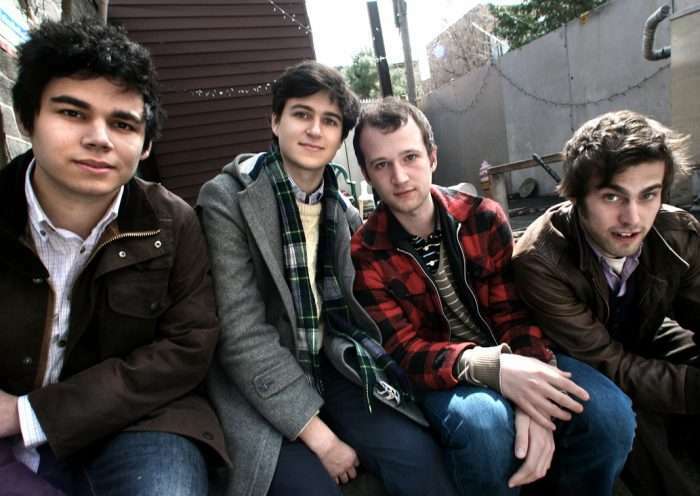 The band’s emergence was fortuitously timed, as a wave of groups including MGMT, Dirty Projectors, and Yeasayer sparked talk of a New York art-rock revival. 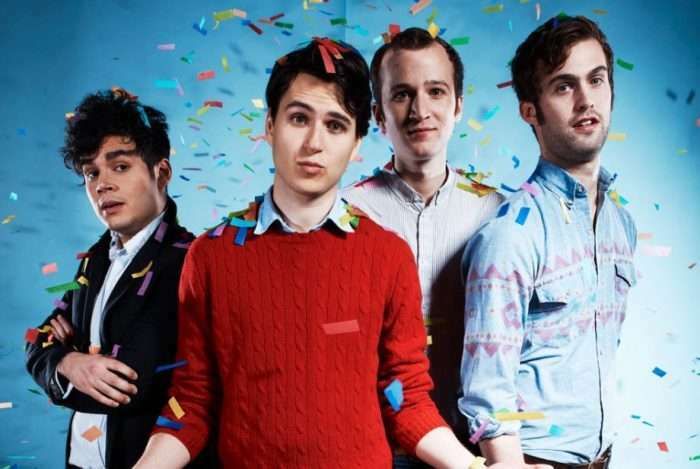 Whilst many of these bands have since faded from the spotlight, Vampire Weekend’s clean-cut style has retained its charm precisely because of its firmly entrenched roots in pop music. A sharp melody, a memorable lyric, or an infectious rhythm can cross any cultural or linguistic barrier with ease. 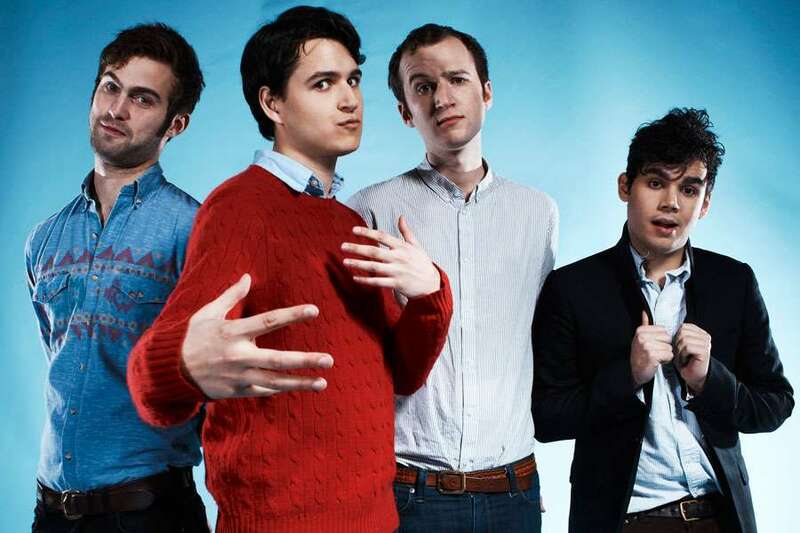 And in combining all three, Vampire Weekend just might have saved indie from the scrap heap.